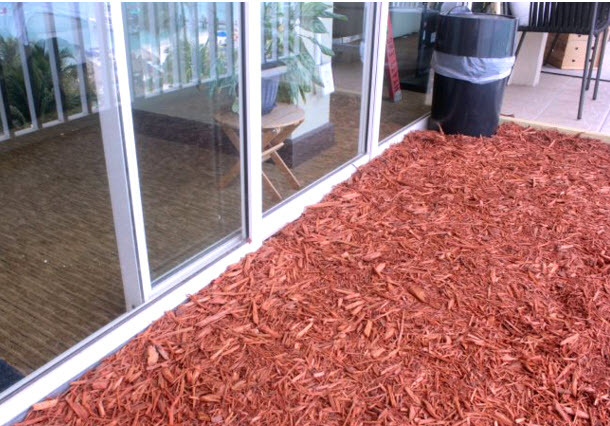 Provide your dog with a mulched area on your patio to use the bathroom! Measure the area where the bathroom will be located and cut wood beams to the lengths needed. Assemble the beams to frame the area. Lay a tarp over the area inside the frame with the edges of the tarp folding up around the frame. Fill the area with mulch and put a trash can nearby for removing pet waste.